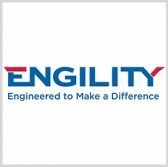 The Center for Cyber Safety and Education has named Engility as its 2018 partner of the year for serving and employing veterans in jobs for cybersecurity. The nonprofit said Tuesday it awarded the designation to the company during the 2018 (ISC)2 Security Congress. Lynn Dugle, chairman, president and CEO of Engility, said veterans interested in serving in the cybersecurity market possess the determination and experience needed to respond to emerging virtual threats. In August, the center and Engility awarded CyberWarrior Scholarships to four veterans to increase the number of cybersecurity professionals in the U.S. The program trains former servicemen and women for various career opportunities in cybersecurity and security analysis and engineering, among other things.